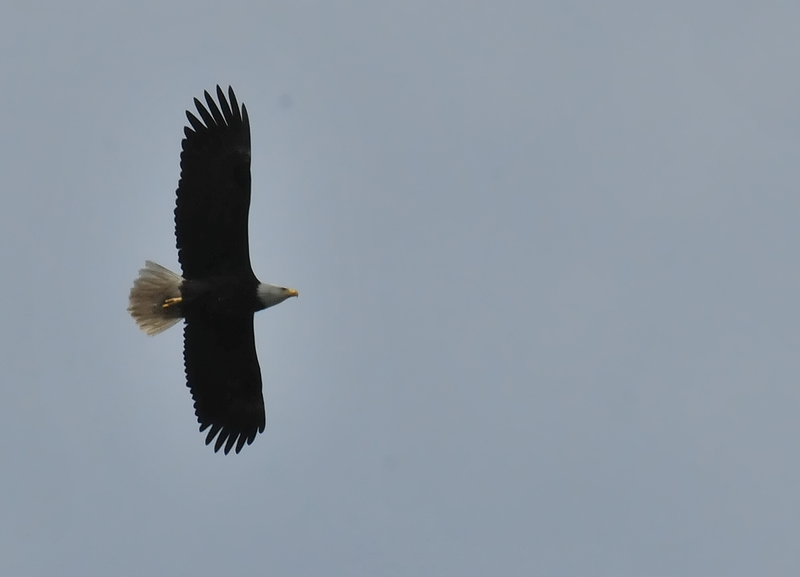 This Bald Eagle sailed over the South Jetty and towards a bordering neighborhood. 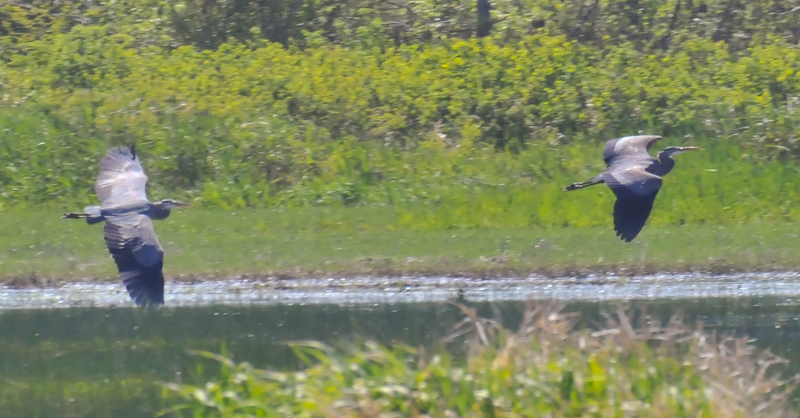 Two flying Great Blue Herons at Fern Ridge Wildlife Area near Royal Ave.
A male Red-winged Blackbird singing to declare territory. 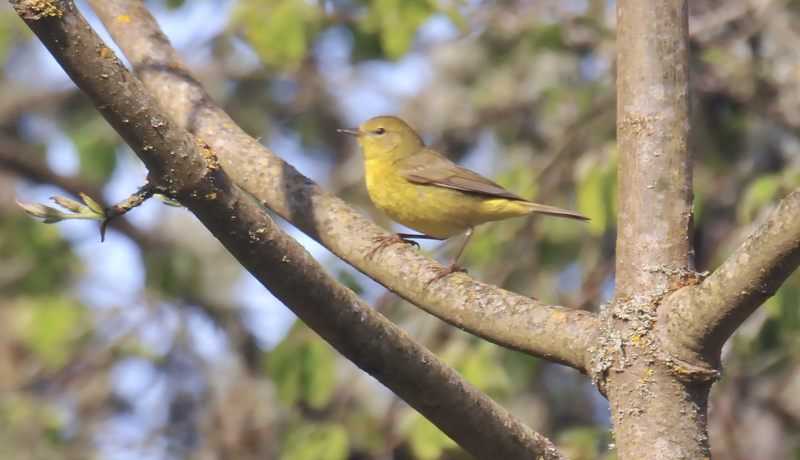 An Orange-crowned Warbler watched me watching him. 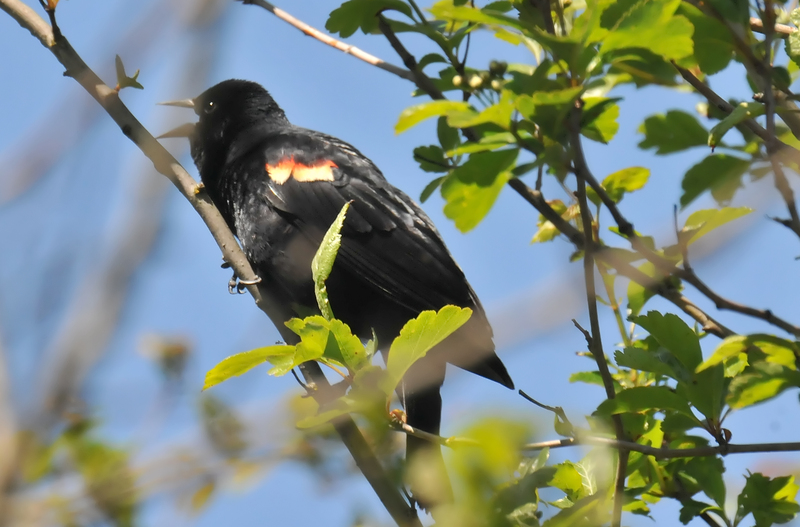 The orange crown is rarely seen. Cute, right? 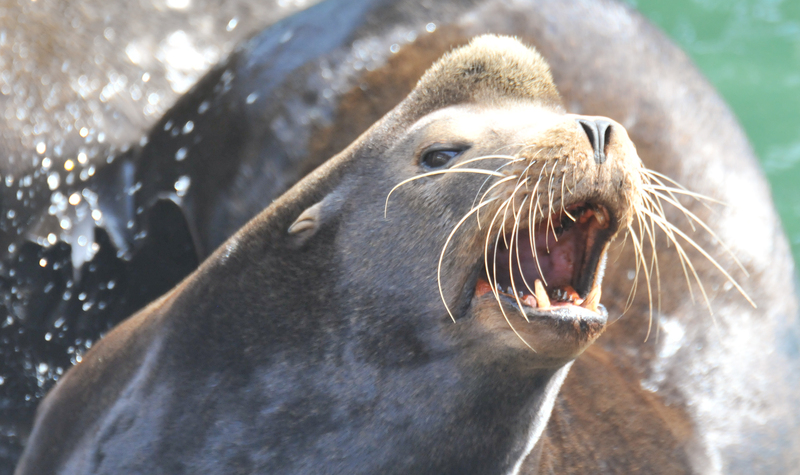 Until you look closely at those teeth. 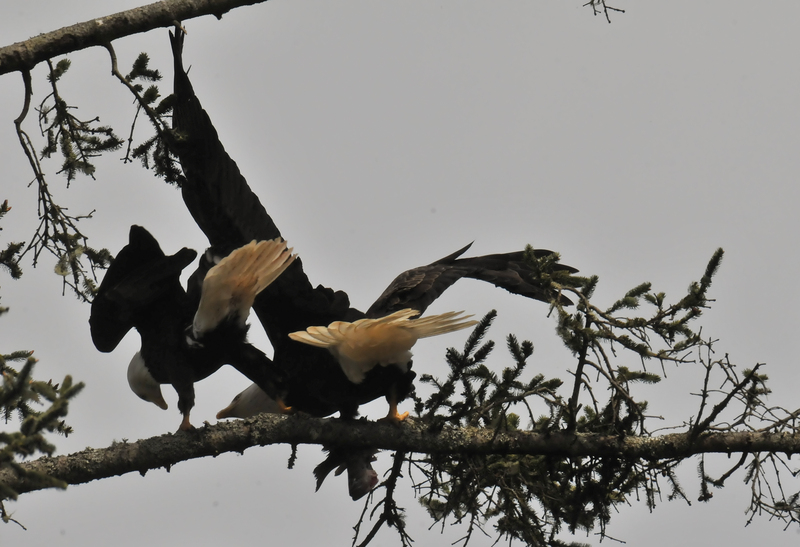 A bit of sound and fury signifying "move over!" 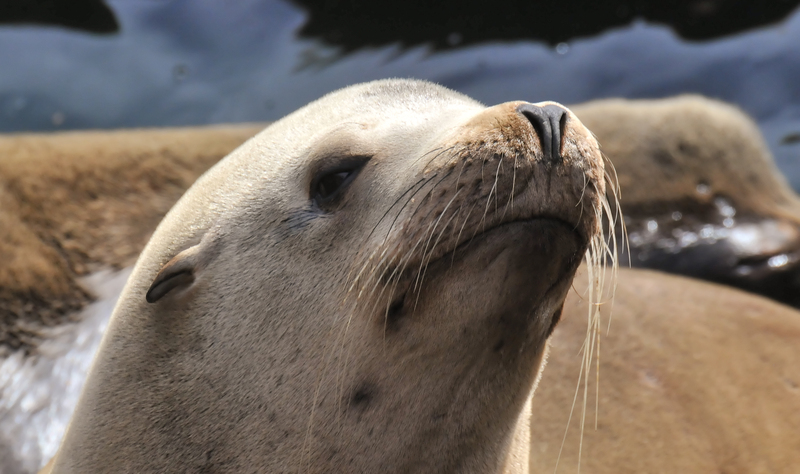 A sweet Sea Lion face in Newport that stood out from the rest . 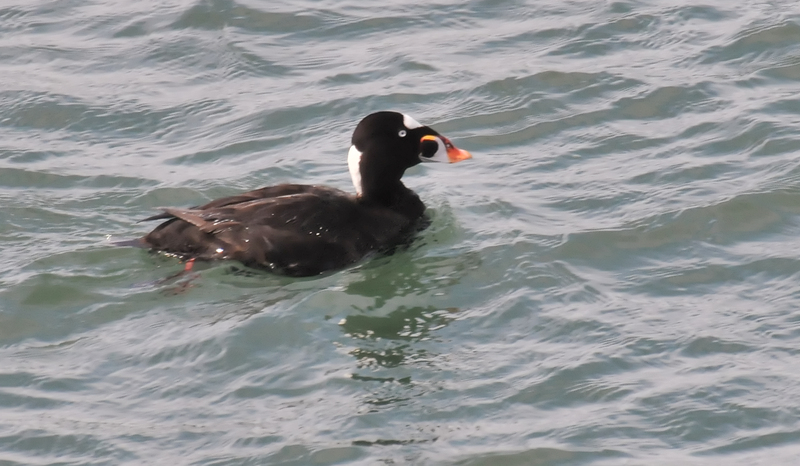 A Surf Scoter off the South Jetty in Newport. 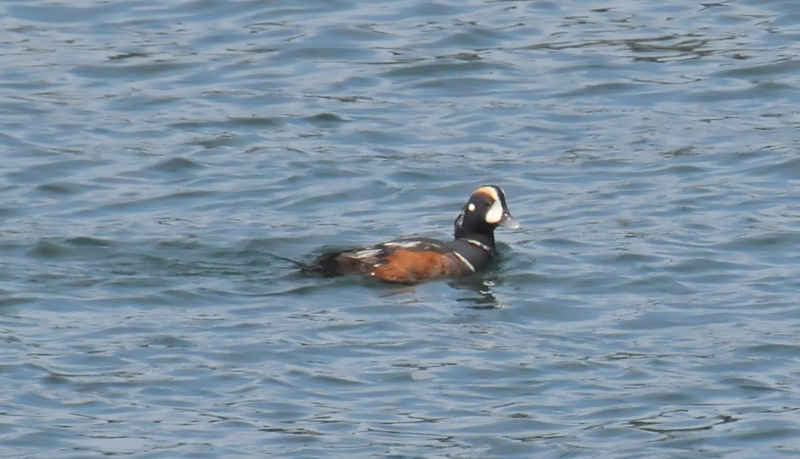 Another duck seen at the South Jetty was this male Harlequin. 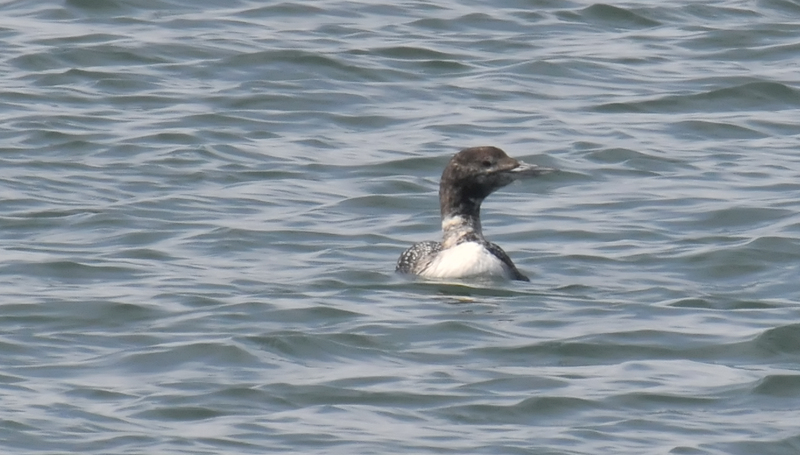 A Common Loon was just off the South Jetty. 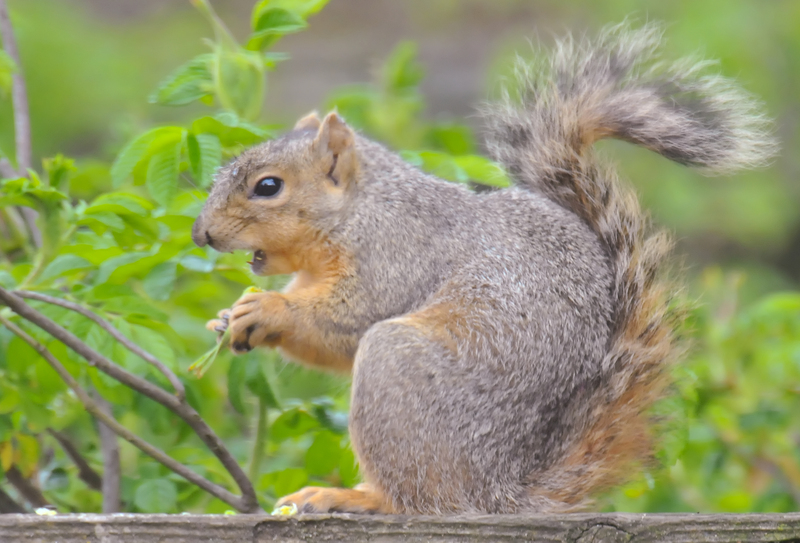 No fish shared, the intruder repelled. It's good to be King. You want some of this fish? Talk to the wing! 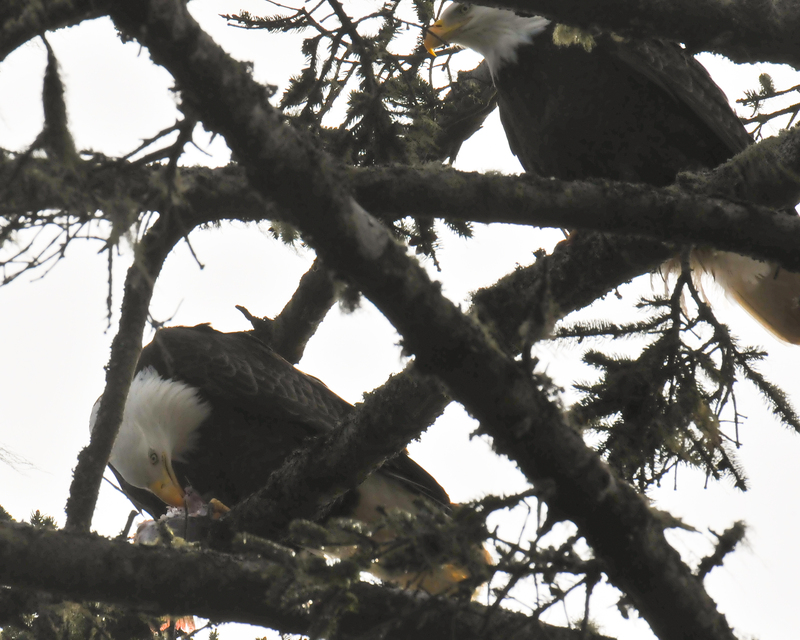 Two Bald Eagles and one fish. Sharing? Nope, not today. 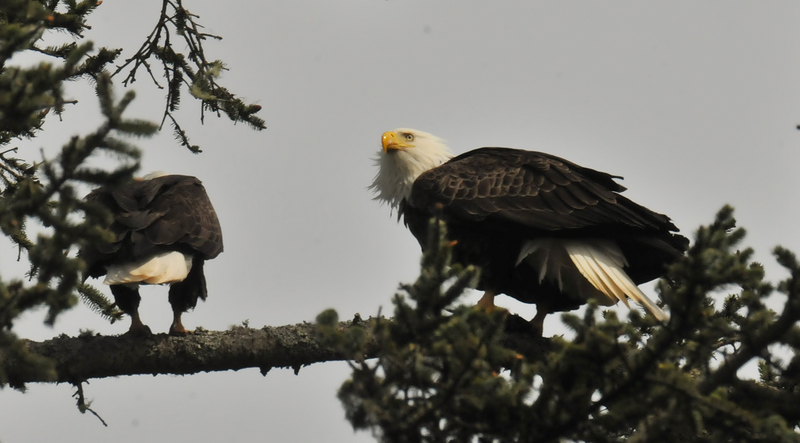 A pair of Bald Eagles in a tree, one of which has a large fish in its talons. 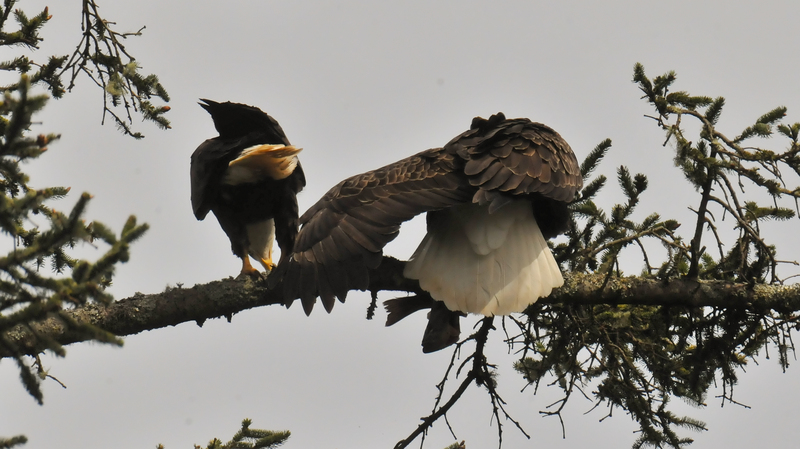 My son and I spotted the one with the fish flying overhead and watched it land in the distance. Naturally we tracked it down to get some photos and found out there were two of them but no fish sharing was happening. Two Surf Scoters were preening and bathing near the edge of the South Jetty. 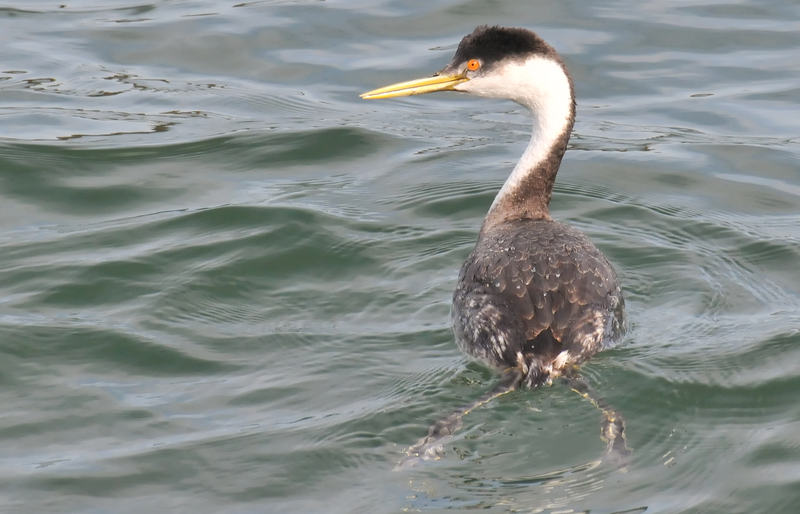 Western Grebe near the South Jetty, Newport. 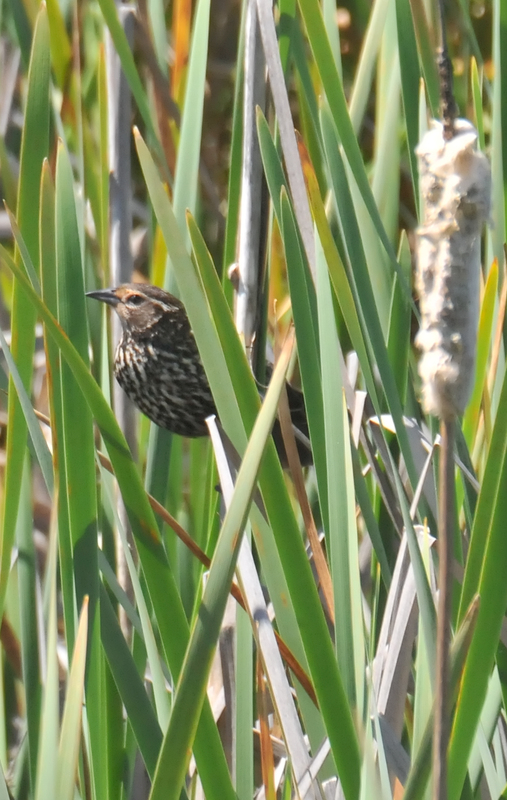 A female Red-winged Blackbird peering out from the reeds. Two Savannah Sparrows acted as natural bookends on a boulder. 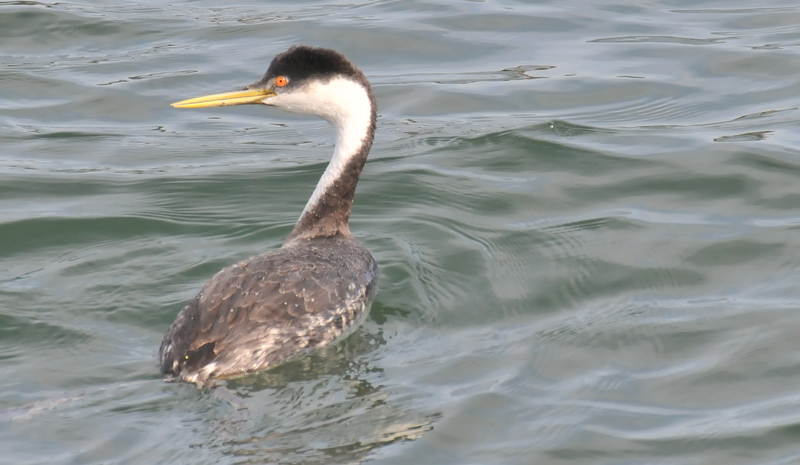 A Western Grebe near the South Jetty in Newport. 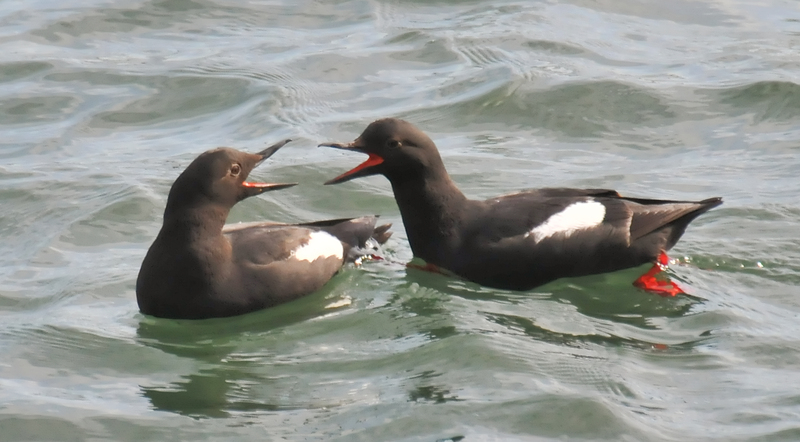 The two Pigeon Guillemots from yesterdays' posting were very vocal with one another. Obviously a "married" couple. These two Pigeon Guillemots stayed close together as they swam and fished. A lot of conversations went on between them. Sure wish I could have translated. 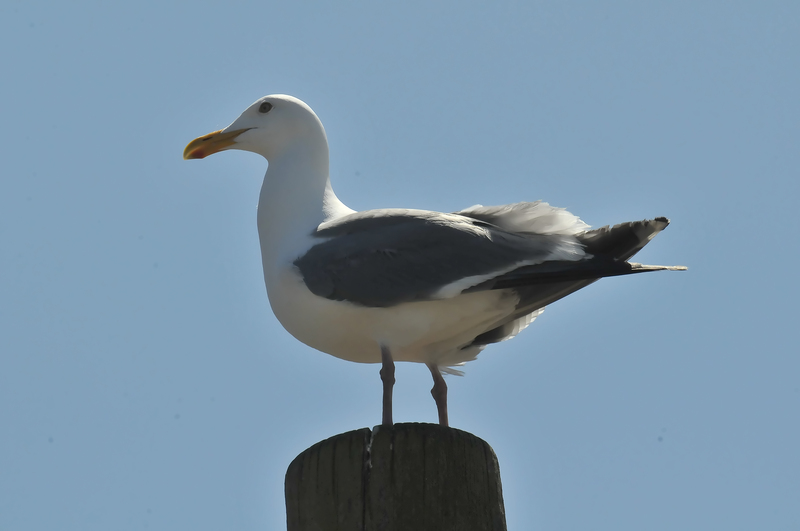 A sunny day in Newport provided wonderful lighting for this Western Gull.